(excluding fuelwood, wood waste and chips). recovered only slightly, to 1.98 million MT by June. was �1.10 billion, 3% less than the same period in 2017.
expected in the first quarter of 2018.
temporary blip, mainly due to severe winter weather. persistent factors are impeding growth. orders growth is close to a standstill. low interest rates and a cheap euro exchange rate. with no deal, which will be costly for both sides. economic and political consequences for the whole bloc. the same rate in 2019. 2017, and to further slow to 1.1% in 2019.
the 1.7% GDP rise recorded last year. 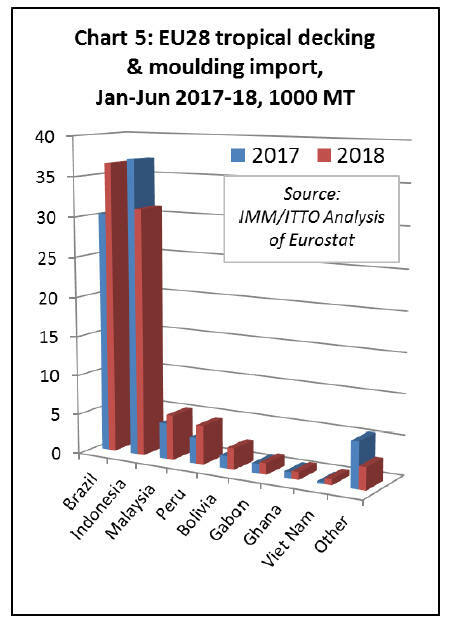 on EU trade in tropical timber. products to other parts of the continent. systems by procuring through other EU companies. 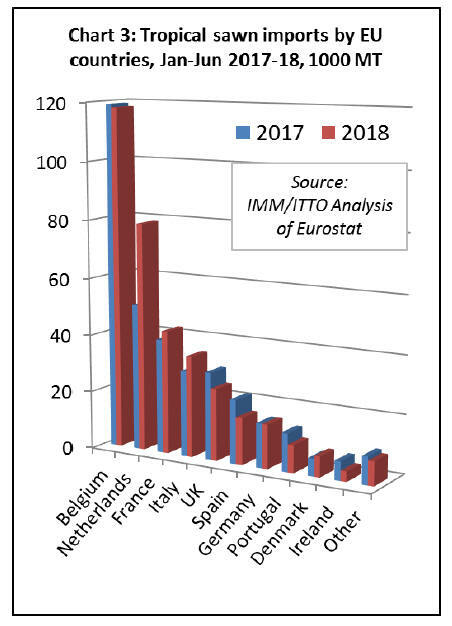 EU market are therefore becoming more restricted. market, other supply side factors are also playing a role. exported to China, Vietnam and other emerging markets. 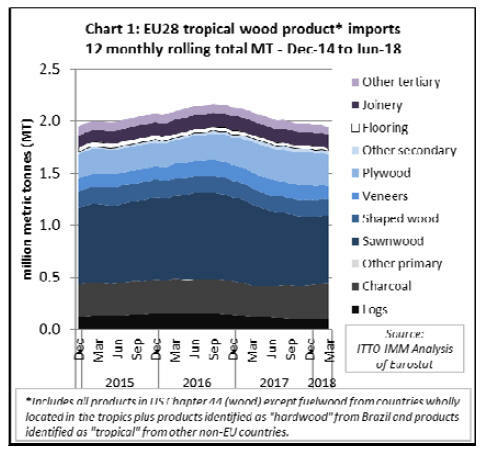 5% rise in EU imports of tropical sawnwood. increased, by 7% to �366 million. following introduction of FLEGT licensing. were level at 15,100 MT (Chart 3 above). year were 3% greater than the same period in 2017.
fell 3% to �27 million. 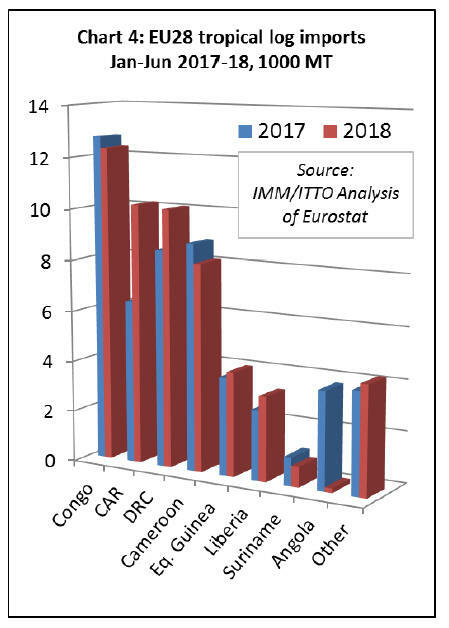 and Liberia (+20% to 3300 MT) (Chart 4). 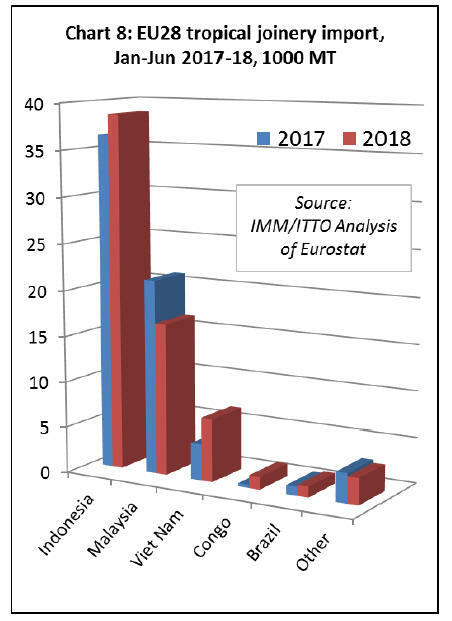 Indonesia since introduction of FLEGT licensing. 4,800 MT) and Bolivia (+71% to 2,700 MT) (Chart 5). the Netherlands and the UK. 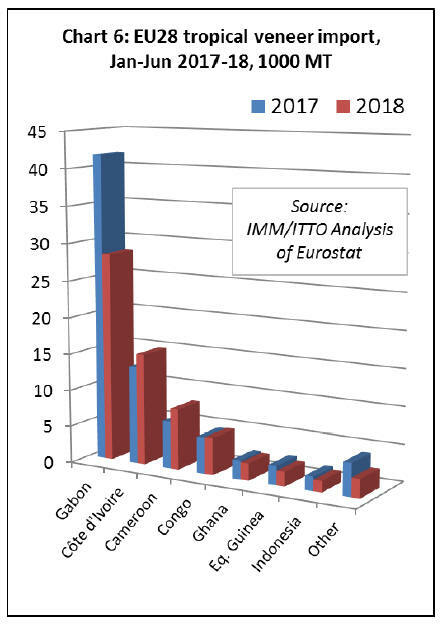 imports from Gabon, to 28,300 MT. (+29% to 8,200 MT). (Chart 6). sharp 53% decline in imports in Greece, to 3,600 MT. Imports to Spain were level at 11,500 MT. emission and waste treatment technology. decreased 9% to 160,100 MT in the first half of 2018. 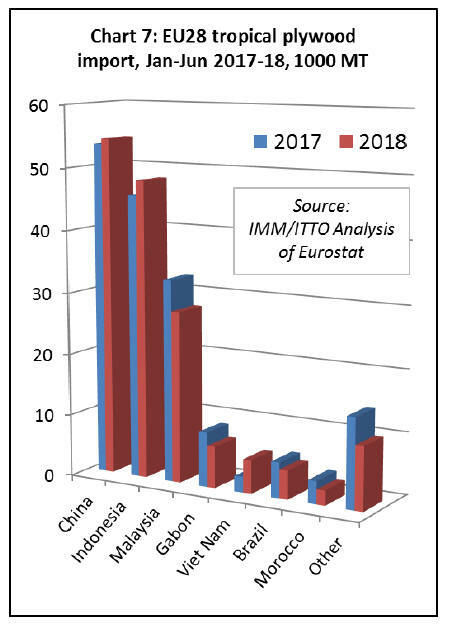 Vietnam, to 5,400 MT, in the first half of 2018. (Chart 7). kitchen tops, increased 6% to 38,700 MT. 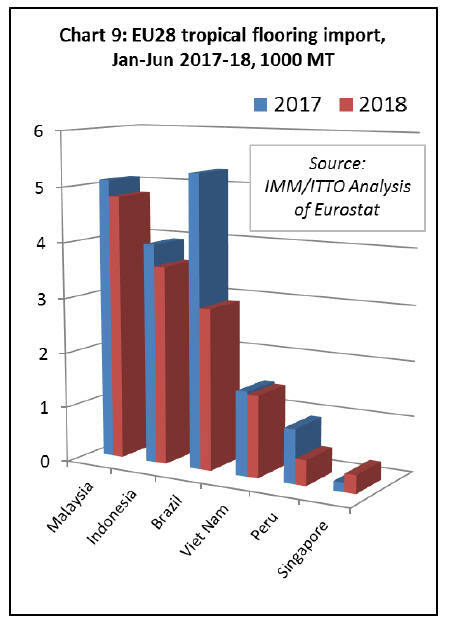 imports from Malaysia to 16,600 MT. (Chart 8). 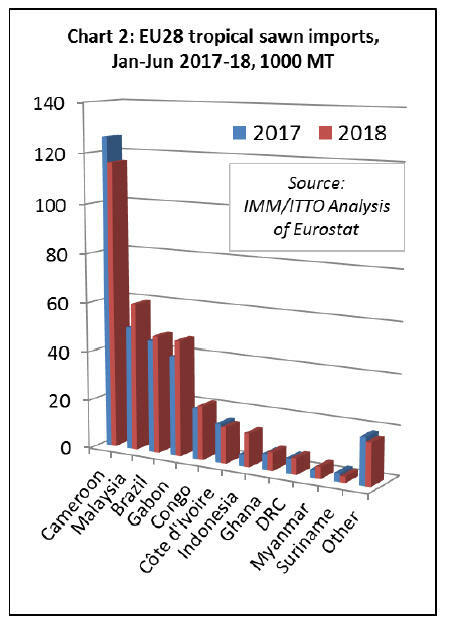 and by 60% to 7100 MT in France in the same period. and 53% from Peru to only 500 MT. (Chart 9). imports increased 8% to �72.3 million in the same period. decline in imports from Cuba to 31,700 MT. 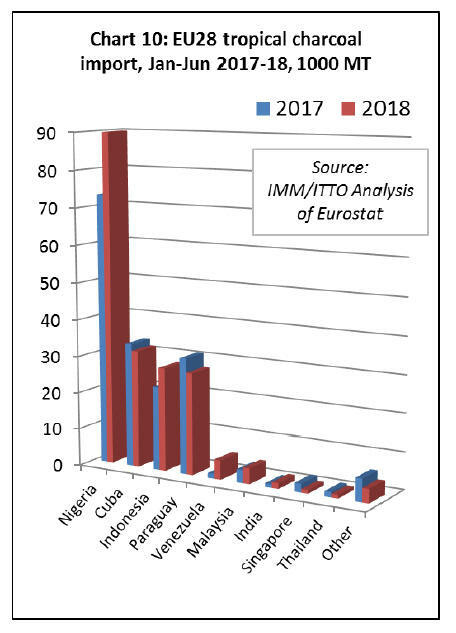 (Chart 10). Greece, Belgium, Italy, UK, Portugal, and Spain. 14,600 MT in the UK, and 15% to 12600 MT in Spain.